General Hospital (GH) spoilers for Wednesday, January 24, tease that Anna (Finola Hughes) will decide to pay Sonny (Maurice Benard) another visit. She’ll let him know she needs some help with something. Anna thought Peter’s (Wes Ramsey) behavior seemed odd during their last chat. She might urge Sonny to do some digging and figure out what this guy’s all about. 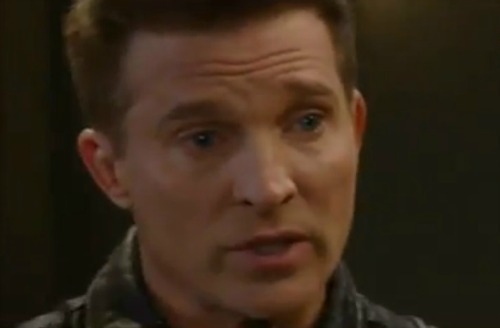 Meanwhile, Jason (Steve Burton) will become even more determined to learn the identity of Faison’s (Anders Hove) other son. He believes it’s the key to drawing Faison out of hiding. Luckily, Jason should get the info he needs soon. Anna appears to be on the right track, so it’s only a matter of time until Peter’s revealed as Heinrich. Other General Hospital spoilers say Lulu (Emme Rylan) will fear for her life. She’s dealing with a very dangerous man! Faison will get in Lulu’s face as he yells about her strategy. He’ll wonder if she honestly thought she could outsmart him. 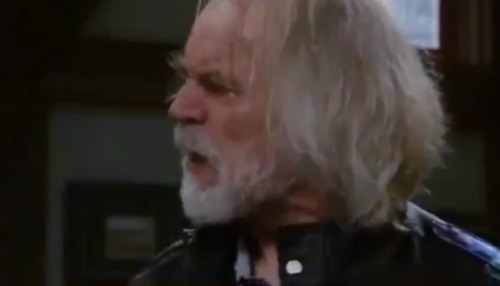 Faison will point at Dr. Obrecht (Kathleen Gati) and note that Lulu’s plan obviously didn’t work out. Lulu will try to think fast and come up with a solution. She needs to settle Faison down and buy some time. Help should arrive eventually, but Lulu wants to make sure she survives until then. The same goes for Dr. O – General Hospital spoilers say they’ll hope they live to tell this tale! At GH, Maxie (Kristen Storms) will be filled with dread. Her ultrasound appointment will come with some scary moments. Kim’s (Tamara Braun) demeanor will leave Maxie curious about her baby’s health. Maxie will suspect that something’s wrong, so she’ll push Kim to reveal the problem. 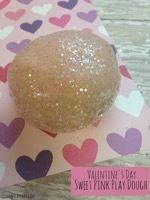 However, there doesn’t necessarily have to be a medical issue. Maybe this is pleasant news. Could Maxie be pregnant with twins? That would certainly be a nice surprise, but it’d leave Maxie feeling a bit overwhelmed. Since Nathan’s (Ryan Paevey) leaving the show soon, that’d be an extra kid for Maxie to raise on her own. 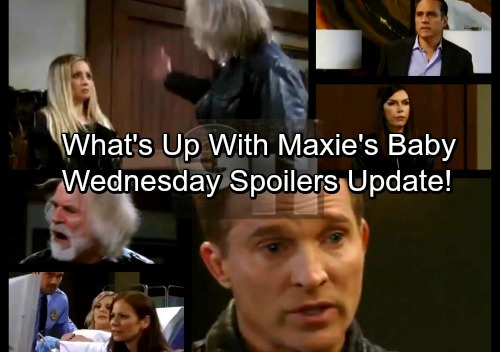 Of course after Nathan’s off the canvas GH will get Maxie a man quickly enough… did someone say Spinelli! Across town, Finn (Michael Easton) will squirm thanks to Felicia’s (Kristina Wagner) questions. She’ll ask Finn when he’s going to declare his love for Anna. General Hospital spoilers state that Finn will try to explain the situation. He’ll note that they’re both fine with friendship, but Felicia will know better! It looks like some great scenes are on the way. We’ll give you updates as other GH details emerge. Stay tuned to the ABC soap and don’t forget to check CDL often for the latest General Hospital spoilers, updates and news.